I attended the 8th Annual National Conference for African American Librarians the first week in August. I had the opportunity to meet a great author, playwright, and poet from the Bay area; her name is Judy Juanita. The author’s first novel is an ode to her life and accomplishments from a fictional perspective. During the NCAAL vendor’s exhibition, I approached the author and she was very inviting and had a beautiful smile on her face. She stated that all the books on her table were complimentary copies for interested conference-goers! I picked up three copies of her latest book: Virgin Soul. Immediately, I asked for an interview after scanning over the cover and she graciously granted me one. Sit back and relax and get to know more about Judy Juanita and her latest gift to the literary masses worldwide. When did you decide that you wanted to write a novel about your life? When I joined the civil rights movement – the radical end through the black student movement and the Black Panther Party [BPP], I saw the inner workings of a large social phenomenon and the contradictions between conviction and faith, privilege and sexism. I wanted to explore the gradual radicalization of a young black woman in the midst of these contradictions. The use of language and ritual had awed me in childhood where I loved communal gatherings, gospel fests, familial and religious celebrations. I’d worked since high school as a journalist but became disgusted with the narrow scope of the field, its all-whiteness, sameness and predictability. When I started editing the BPP newspaper, I was embedded in the inner workings of the party, helping create the paper, typing, retyping, printing words and phrases like Off the pigs. Power to the people. All power to the people. Free Huey. My hands shocked me as they formed these words and their manifestos. The BPP was appropriating the oppressor’s language and using it to shatter oppression. That new use of language, in the BPP and in the Black Arts Movement, was as powerful as any gun and even more powerful because it changed the terms of discourse between friends, enemies, lovers, generations and cultures. 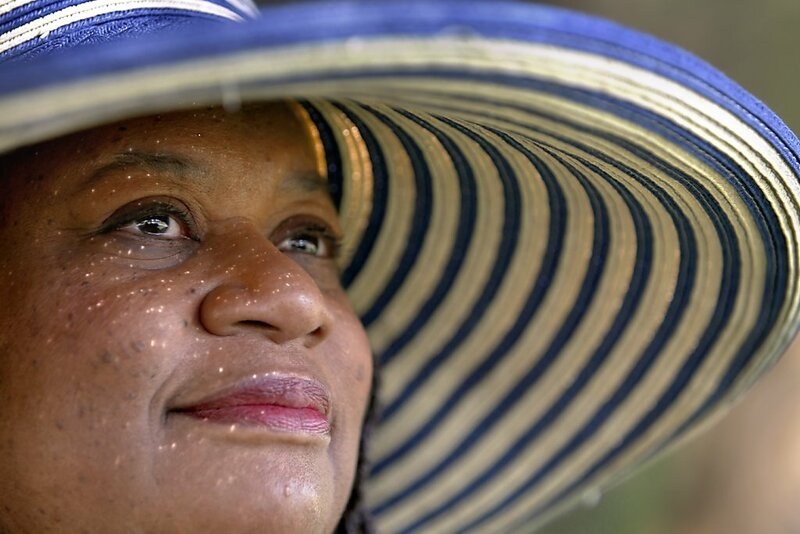 Being an agent of change meant I aroused deep feeling, affected discourse, found the powerful voices that I had heard in childhood, in church, in soul music, in the pulpit—within my own voice. Thus empowered, I began writing poetry, essays, and eventually moved on to drama and fiction. That was my start. Why did you choose the genre of fiction versus a memoir to depict it? One valued reader of an early draft found the fictional story more powerful and electrifying than the factual parts of the story. This emboldened me to focus on story, not recollections, and to use my experiences as benchmarks, e.g. joining the party, going off to college, losing my virginity. Geniece experiences these in ways that I did not. She also has a vastly different interior experience of it all-much smarter, wiser than I was, as befits a character in a coming-of-age novel, yet more insecure because she’s an orphan. I love the facts of what happened, but I thought there were some deeper truths I wanted to get at. For example, I made my main character, Geniece, dark-skinned to explore what it felt like to be on one end of the spectrum before the movement started when dark skin was a negative, and on the other end after the movement had begun when black-is-beautiful became in vogue. How did you come up with the main character’s name? We have the name Denise (and Niecy as a nickname) with two women in my family. What does her name mean to you? These two relatives are feisty and uncompromising, so I was comfortable writing a character like that with that name over the years it took to complete seven drafts. Also, Geniece is more a niece than a daughter in Virgin Soul. So Niecy fits her. I liked all the parts with Allwood, Geniece’s first boyfriend, a purely fictional character. I imagined his life, background, family, his very body. It was very hard to let Allwood go. Did the book title come about as a result of the first chapter? That title comes from combining two ideas: Soul on Ice was a popular book in the sixties and its author Eldridge Cleaver figures prominently in the novel; and Geniece’s virginity is a theme throughout the book. Where did you choose to write this novel? If you mean the setting of Virgin Soul, I chose the Bay Area. I was born in Berkeley, raised in Oakland, and educated in San Francisco. I love the area and felt natural highlighting it throughout the novel. If you mean, where I actually wrote it, I’m a dining room table writer. Focus. Where or on which era are you going to direct the light of the writer’s eye? I like to tell this story about excavating the narrative of Virgin Soul from my own history. By the mid-70s a stream of literature about the 60s had begun appearing. I read it avidly, looking for my story, which eluded me because I hadn’t written it yet. Then one day in 1984, while I was subbing in a social studies classroom in Ridgewood, New Jersey, I opened the teacher’s lesson plans. The teacher had collected newspaper and magazine articles into a plastic folder that I thumbed through, astonished. I saw my life–a whole unit of study on the Black Panther Party–reflected back at me in suburbia! Questions he had formulated for his students showed he was clearly left-leaning and earnest, so I decided to share my BPP experiences with the students, who were as astonished as I was. I’d had no contact with the BPP since moving to New Jersey in 1972, yet there it was, all the events, recollections and imagined ways to tell my story vivid again. By then, another body of literature was developing: the black chick lit phenomenon, heralded by Terry McMillan’s Waiting to Exhale in 1992. It used real-life spoken language of black people. I wanted someone to use real-life spoken language and probe the complexities of black women’s political experience in America. Where was my story? Who would want to read it? I could only answer these questions by writing it, draft by draft, a story buried so deep it took a while to excavate it. How hard is it to establish and maintain a career as an African American author? When I first started going to poetry workshops, I met a poet who used only her first and middle initials in an attempt to hide her female identity to editors. We all knew who she was; she read her work openly; editors knew. I rejected that strategy off the bat. Women, people of color, the disenfranchised, have to fight for survival, let alone progress and artistic recognition. Also, my writing seemed to surface between movements. By the time I got ready to write poetry, black poetry had peaked. By the time I learned how to write plays, black theater’s vogue had passed. A luta continua. The antidote for me was to immerse myself in craft, learning it, writing as much as I could while I had the strength and desire, notwithstanding barriers. Even though I felt good enough at many points, I gave myself incentive to try even harder: Judy, it’s your problem, not theirs. If I hadn’t done this, I would have become disillusioned and broken-hearted. Instead, I turned out an even better product. Robert Guillaume, who starred on the TV series Benson, was a trained opera singer and a song-and-dance man on Broadway. When asked why he had learned so many different skills, he said a black artist never knows where the breakthrough will come. I don’t regret my years in classes and workshops for poetry, fiction and drama. That time helped me polish my writing and develop valuable and very dear friendships. It must be the same for maintaining sanity for anyone-being balanced, healthy and having loving connections with family, friends, and community. I’ve been taken with writers who spring from movements. Thus, in Virgin Soul, I mention Jewish writers like Philip Roth, Bernard Malamud, the French novelist Albert Camus, and the Italian writer Alberto Moravia. The writers of the Harlem Renaissance are great mentors, particularly Langston Hughes, Margaret Walker and, later on, Gwendolyn Brooks. And of course writers of the Black Arts Movement, Amiri Baraka, Carolyn M. Rodgers, Haki Madhubuti and Sonia Sanchez. Mostly I have to clear the decks, meaning the house needs to be decent, no dishes in the sink, I’ve eaten, it’s late at night so nobody’s calling. No distractions; then I can write. Finally, and on an entirely unrelated note, who would play you in a film of your life? 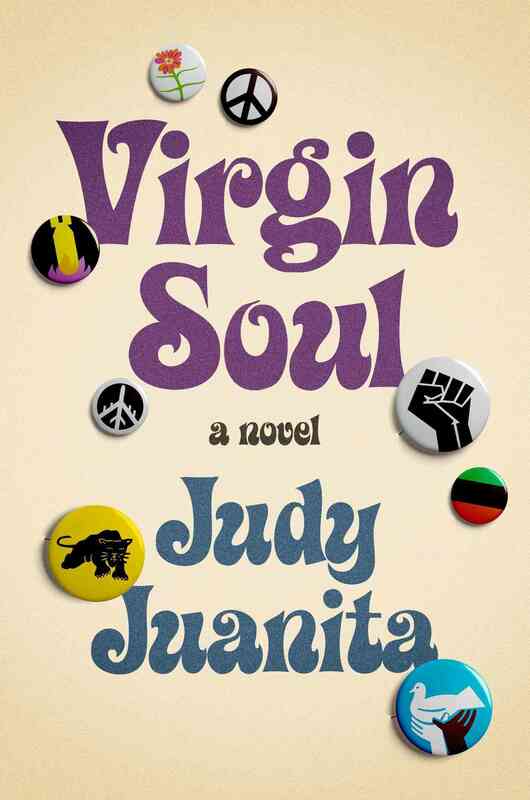 Visit Judy Juanita’s website and buy: Virgin Soul. Great, informative interview. I look forward to reading the book. Thank you so much for reading the interview!! !